Arizona, a Galapagos tortoise, arrives at Cornell University Veterinary Specialists in Stamford, CT.
We had quite a unique event this past week when Arizona, a 300-pound Galapagos tortoise, came into the hospital for a CT scan. Arizona's owners, who live in Westchester county, noticed that he was not putting weight onto one of his hind legs. 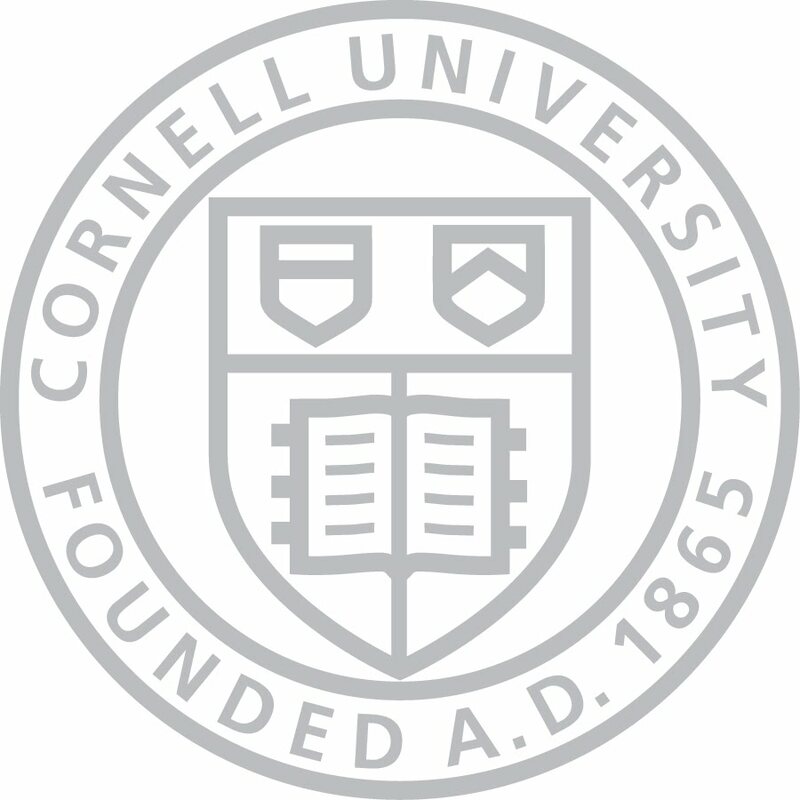 Arizona's regular vet, Jeremy Sabatini, DVM of the Pleasantville Animal Hospital, referred Arizona to CUVS so that we could perform a detailed computed tompography (CT) scan. Dr. Sabatini was on hand to lend his expertise while we performed the CT scan. Positioning a 300-pound tortoise takes many helping hands, including those of CUVS CMO Dr. Susan Hackner (right). First we positioned Arizona on the CT scanner's motorized bed. Then we anesthetized him with gas, using an anesthetic mask which is more commonly fitted on the muzzle of a dog or cat patient. 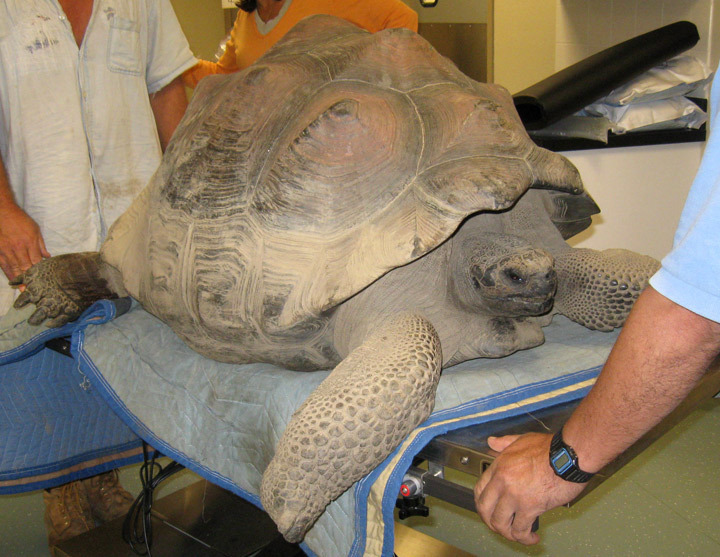 After Arizona was sedated, we backed him up to the CT and positioned his affected limb so the images could be taken. 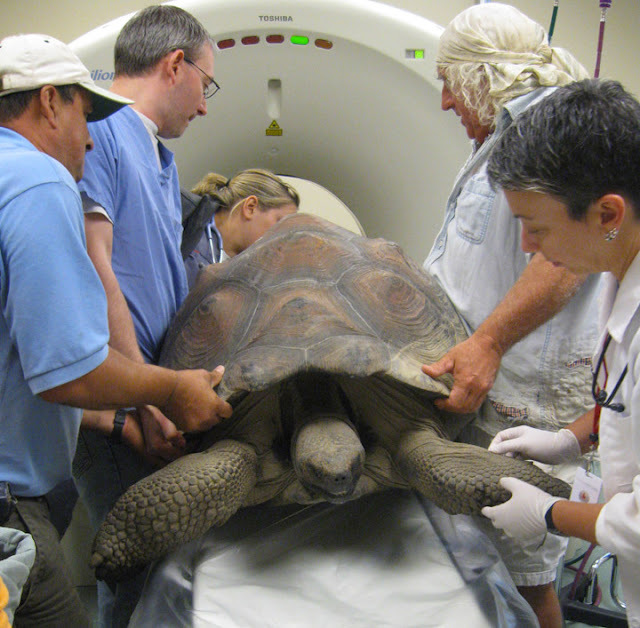 Arizona, sedated and on the CT scan. 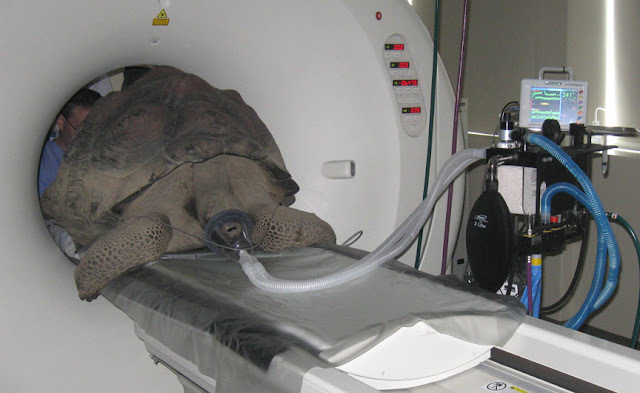 While preparing Arizona for this procedure took some time, the CT scan itself did not take long. Soon after, Arizona was waking up and on his way back to his sanctuary home. While CUVS frequently treats exotic species, this particular visit did garner quite a bit of media attention. You can find other articles about Arizona's visit here.